The Indian mainland has a coastline that is approximately 6000 kms long. 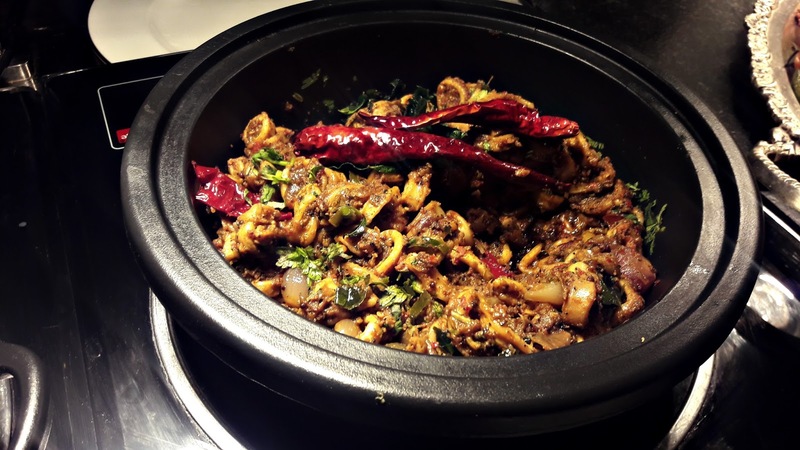 From the northern part of the Bay of Bengal, down the Coromandel coast, up along the Malabar coast and all the way to Gujarat, 9 states have direct access to the bounty from the sea, our state being one of them. 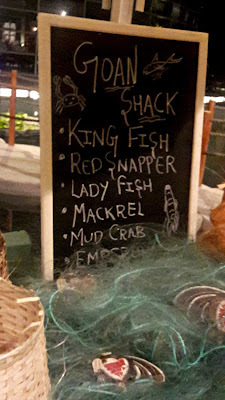 Which must be a great thing for someone who loves seafood. Park Hyatt Chennai's seafood festival "From Coast to Coast" has some great fishing seafood on the boat and you don't even have to get your toes wet to land that catch. The deck outside the Dining Room's got a catamaran parked on it and in it, on a huge mound of ice, are some yummy fishes. 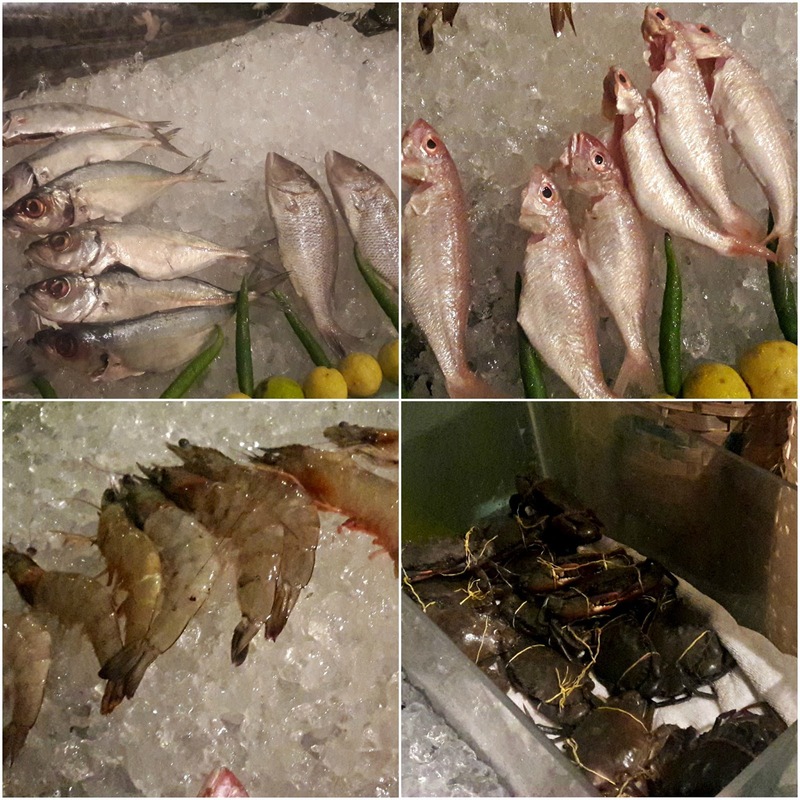 There's a big kingfish, large prawns, small mud crabs, lady fish, snapper and emperor fish. 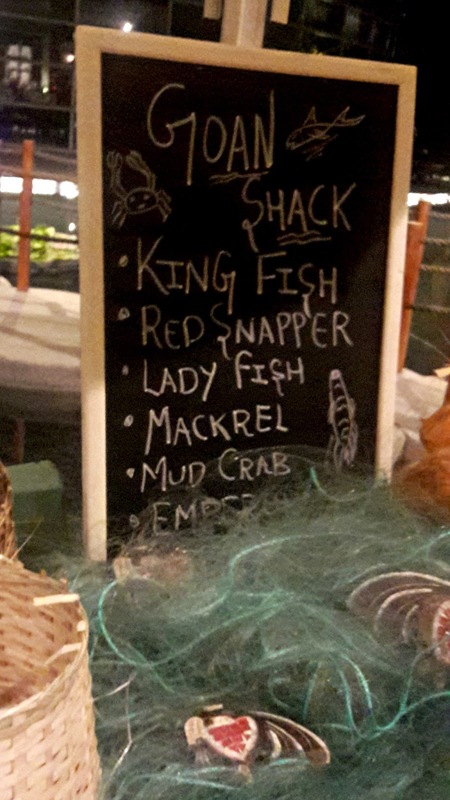 Choose your catch of the day and tell the chef your marinade of choice. You can sit right there under the canopy and inhale the aroma of your seafood while it is being cooked or sit within the cool confines of the restaurant, which is what we did. 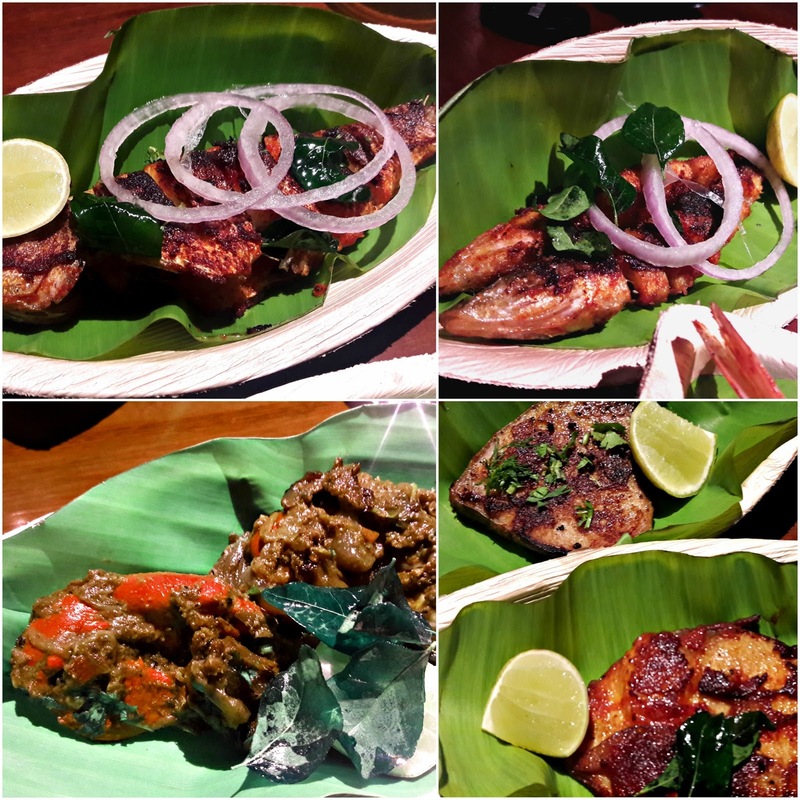 The marinade choices range from mild lemon garlic to Goan-style chilli hot. A grill and a fryer have been set up beside the boat and after being marinated, the food is cooked right there. 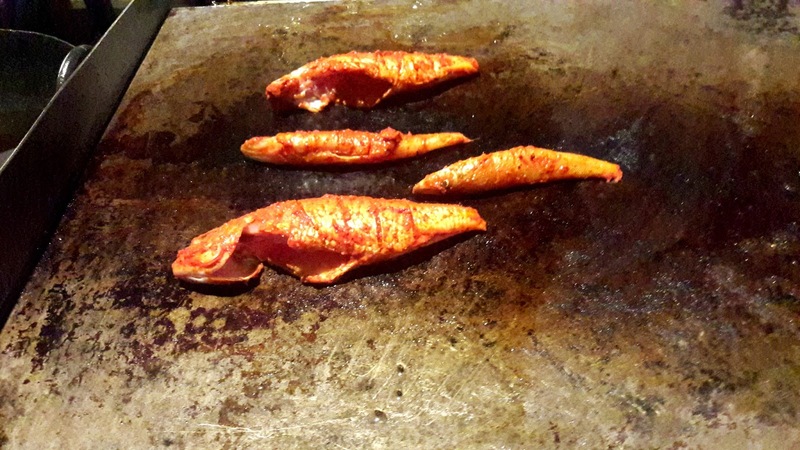 We asked for the marinades to be kept as simple as possible. With nothing to hide behind, all that the fish needed was the most basic of marinades (ours was a paste of chillies and salt) and they were definitely some of the freshest catch we've had. There's no elegant way of eating crab with cutlery but the masala it was cooked in was so delicious. So also the kingfish smothered in kasundi (mustard) spice paste, quite a change from the usual chilli paste. 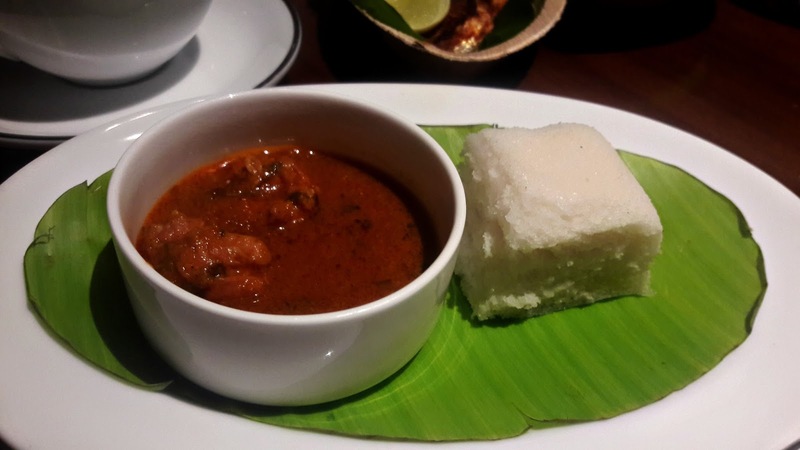 There were also 3 different kinds of fish curry which were served with spongy Goan sannas, steamed rice and Indian breads. 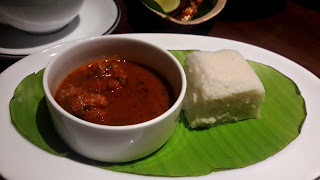 The combination of sannas and fish curry was particularly appealing, the slight sweetness of the rice cake toned down the spiciness of the gorgeous red and tangy gravy. Apart from the fish, there's an interesting spread of food at the buffet counter that includes batata wada pav and a selection of Mumbai's favourite chaats, Kolkata's famous kathi rolls, a mean lamb biryani, a peas curry that a friend just couldn't get enough of and even shrikhand. 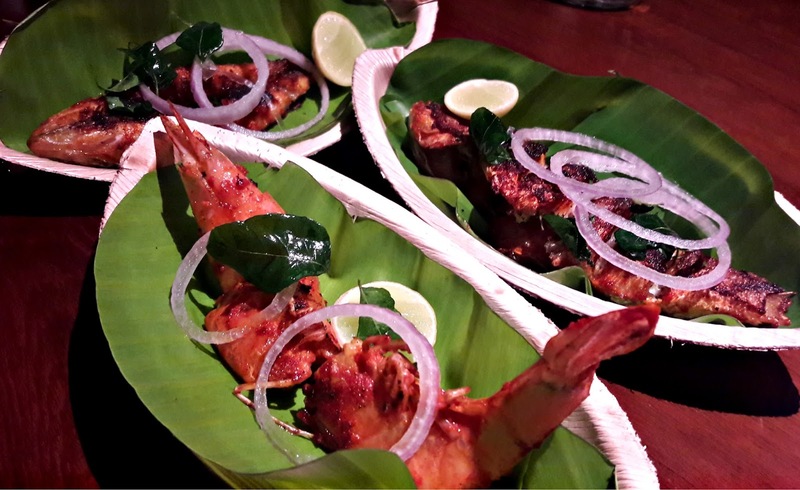 The menu does change on a rotational basis. If you have a sweet tooth, there's a tableful of desserts to make make a selection from. 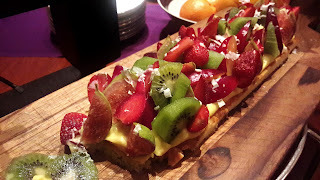 My pick of the evening was the fruit log, possibly because it looked like a boatload of fruit and custard! 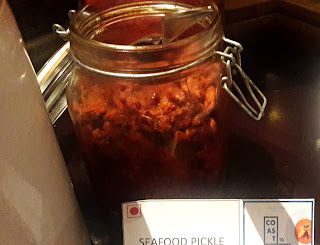 "From Coast to Coast' is on only till Sunday 26th February, from 7 -11 pm at The Dining Room. It costs 1600/ ++ per person. This is one boat you definitely don't want to miss!! For reservations, do call 044 49919965/ 044 49919961.